Trey Blackmon, LaGrange. LB 5’10 195 lbs. 5 Star recruit, Recorded 116 tackles, 16 tackles for loss, 12 Sacks, 5 forced fumbles, 3 fumble recoveries, one safety, and one defensive touchdown as a senior. 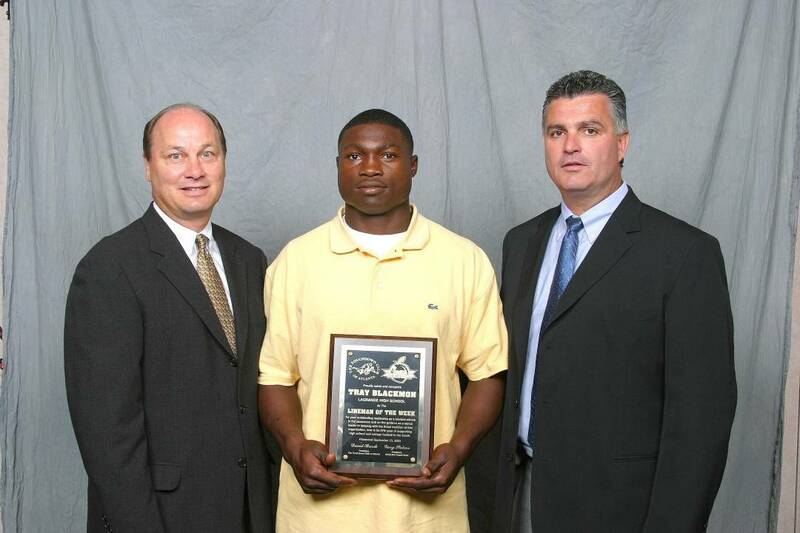 Defensive player of the Year for the 2004 AAA State Champion Grangers.